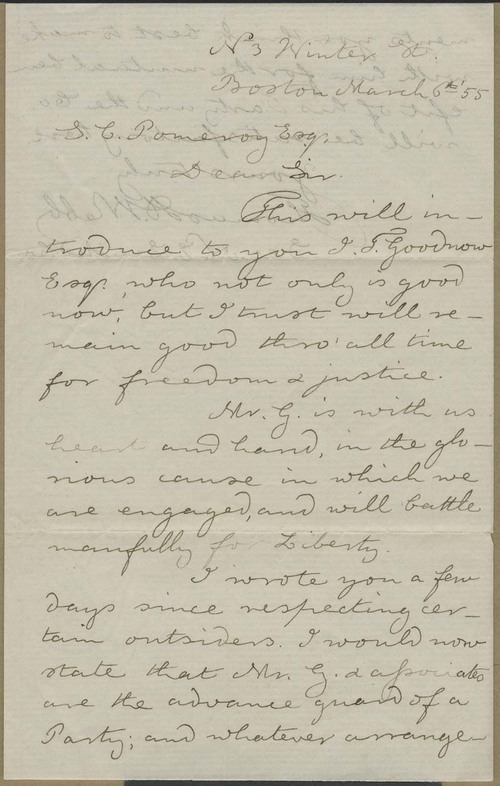 Thomas Webb, Secretary of the New England Emigrant Aid Company, wrote a letter of introduction for Isaac Goodnow to Samuel Pomeroy, seeking protection for Goodnow and his traveling party when they would arrive in Kansas Territory. Webb justified the request to Pomeroy, proclaiming that "Mr. G is with us in heart and hand. . .and will battle manfully for Liberty."